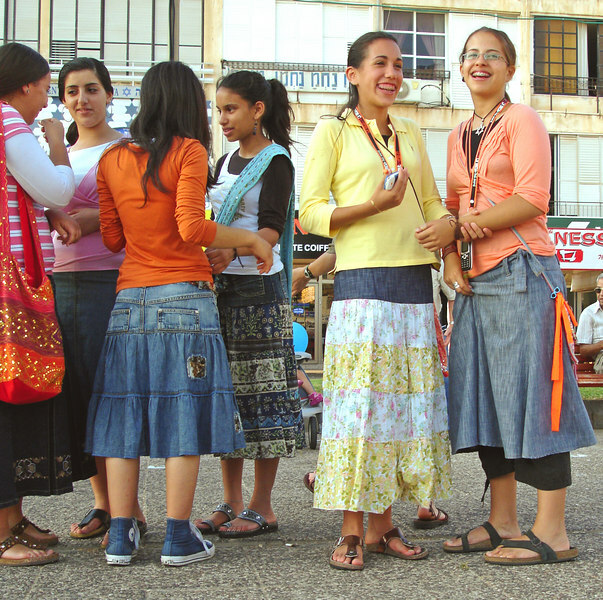 Orthodox Jewish girls - Independence Square, Netanya, Israel, 2006. Orthodox Jewish girls in Independence Square, Netanya, Israel. July, 2006.